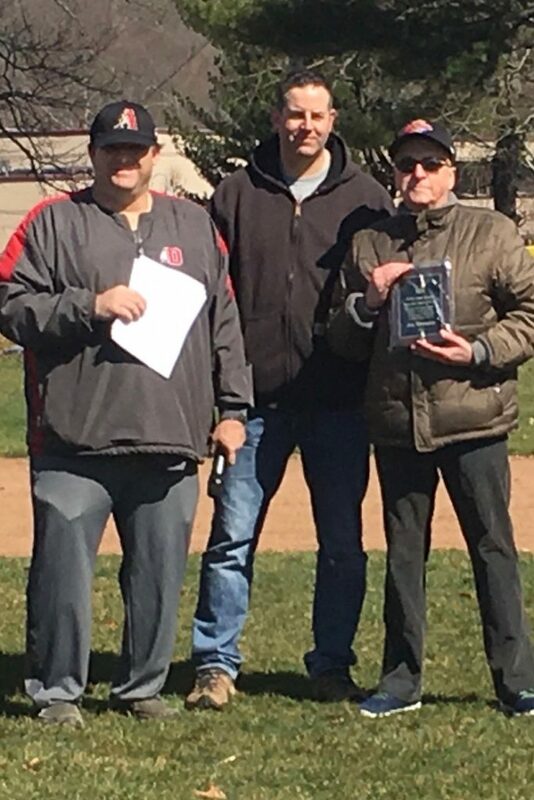 Joe was involved in the Derby Little League for many years, both as a coach and as a member and officer of the executive board. Joe coached in the minor league in the early 1970’s, and coached there for many years, while also serving on the Executive Board as Vice President. Joe was the Vice President for many years after he stopped coaching in the league. He helped organize the T-Ball level of play, which has expanded to be our largest division in the league. He began coaching Derby High School softball with Red Clynch in 1981 and continued until 1988—winning the state championship in 1985. He spent three years at Yale as a softball assistant coach 89,90,91. He became the UNH head coach from 93-98 and then served 10 years at Seymour High School as an assistant, winning five state titles. As manager of Big League World Series CT team (Seymour) in 2007, won the World Series in Kalamazoo, Michigan. Received a letter of congratulations from then Governor Rell. Big League was a division of the Little League. It was the oldest age group, 16-18, of little league play. Presented to Joe Musante in grateful appreciation for the many years of service and dedication given to the youth of Derby.